The Bronco Demo Team’s OV-10 will be bringing Poppies from Flanders Fields to venues and airshows all over Europe in 2017; supporting a message of peace and reconciliation in remembrance of the sacrifice by so many 100 years ago. 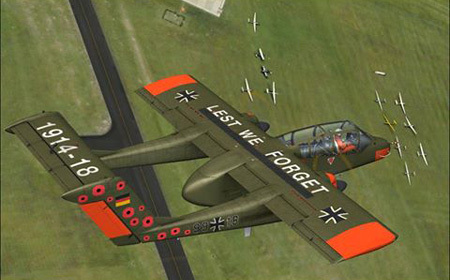 As a commemoration of The Great War, the Bronco Demo Team has adorned their OV-10 Bronco in a truly amazing new “Poppy” livery and “LEST WE FORGET, 1914-18” graphics. 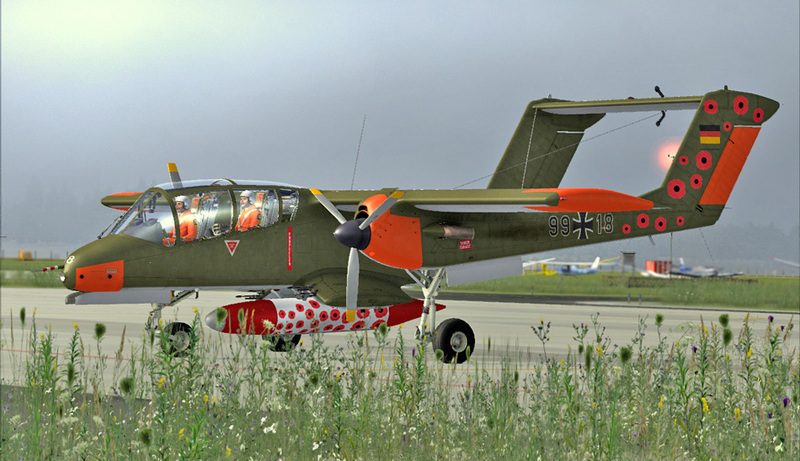 The people of Aerosoft created a high-detailed OV-10 Bronco addon for Microsoft® Flight Simulator, “BRONCO X”. Thanks to the great work by Frank Felix we can now present you the special Bronco Demo Team 2017 Poppy theme textures. The textures can be downloaded free from the link below (35Mb).